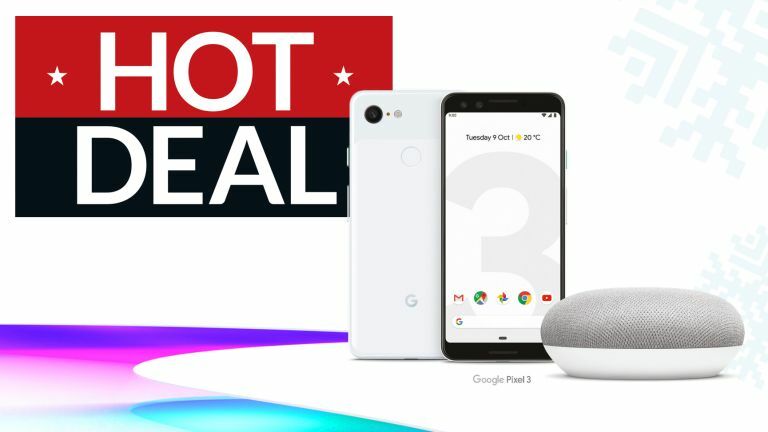 "OK Google, show me one of the best freebie deals available for Black Friday 2018"
If you're in the market for a brand-new Google Pixel 3, this phenomenal freebie deal from Three should be just the ticket. The UK mobile network is throwing in a Google Home Mini smart speaker with the Pixel 3 as part of its pre-Black Friday sales. The doughnut-sized Google Assistant-powered speaker usually sells for £49 – so it's a generous freebie. Elsewhere, Three is throwing in a whopping 100GB of 4G mobile data, which should be more than enough to keep even the most prolific Instagram Story'ers and Netflix viewers with plenty of data to spare at the end of the month. The pre-Black Friday deal on the flagship Pixel 3, which launched a little over a fortnight ago in the UK, will set you back £48 a month. The two-year contract also includes a one-off £99 upfront fee. This is exactly the type of pricing we'd expect to see for a brand-new flagship smartphone, like the Pixel 3, except without the free Google Home Mini thrown-in. This deal brimming with bonuses – not only do you get the brand-new Pixel 3, but you also get a free Google Home Mini, and a colossal 100GB of 4G data. All of this does push up the monthly cost though as you will be paying just under £50 a month for it. If you've been eyeing up the Google Pixel 3 for a while now, this new Three contract boasts an impossibly generous 4G data allowance and a brilliant freebie. However, if you're tempted, it's worth acting fast. Three is only keeping the deal around until Thursday November 22, 2018. If you're unable to get solid coverage from Three in your area, or would rather opt for another mobile network – check out interactive comparison chart below to see what other options are available on the Google Pixel 3. Don't hold your breath for a free Home Mini smart speaker though.